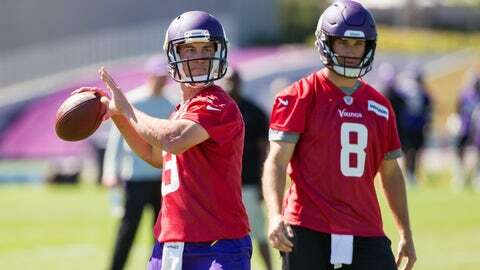 EAGAN, Minn. — When Trevor Siemian embarked on a Mexican vacation in the thick of NFL free agency, he was excited to relax with his fiancee during her break from law school at the University of Denver. Siemian and fiancee Bo Podkopacz feel at home in Minnesota, too. Podkopacz attended Wayzata High School in the Twin Cities area and met Siemian while playing soccer at Northwestern University. The two have a wedding scheduled for June 2019.